If every hiker had her way, she’d be on the trail daily, taking in breathtaking vistas and gulps of fresh air with every step. Every meal would be eaten al fresco, and every nap would be taken under a wide open sky without a single bar of cell phone service in sight. Living a simple life off the grid would be the rule rather than the exception, and all of those modern obligations and responsibilities? Well…they’d just take care of themselves somehow. It’s a pretty glorious pipe dream, isn’t it? Ah, yes, but only a dream. Unless you’ve really got this adulthood thing sorted out (or have access to a fat little trust fund), you probably can’t spend all your days wandering the wilderness without a worry in the world. Lucky for you, your elementary school teacher gave you the tools you need to enjoy a little escape to the trail whenever you need it most, whether that be on the bus, at your son’s soccer practice, or crammed into an overcrowded commuter flight. You’ve probably heard this all before from enthusiastic English teachers, but the power of reading is all you need to transport you to that serene happy place, even if you can’t physically get your boots on the ground. Because your busy modern life can use all the shortcuts to be found when it comes to grabbing a moment of Zen here and there, we’ve got a handful of top-notch selections to share when it comes to finding the best hiking books for your literary getaway. compelling book, the first thing you need to know is that it’s a memoir, making every plot point—from her pregnancy at age sixteen in the year 1965 to her banishment from home by her mother—a heartbreaking reality for Hall in the most formative years of her life. After being ostracized from her family and suffering through a pregnancy rife with shame and stigma, Hall gives up her baby for adoption and escapes the New England home she has always known. Hall begins an epic journey, wandering throughout the Middle East, Europe, and Asia, directionless but determined to somehow find herself through this ceaseless movement. She travels without money, maps, or much in the way of food and shelter, selling her possessions and eventually her own blood to get by. It is only by navigating this harrowing trek that she is able to finally come to terms with the events that drove her away from her home and the life she once knew. Hall eventually returns to New England, ready to confront her past and make a connection with her future. Any reader who has ever found him or herself as a sudden misfit in an environment that was once so welcoming will easily relate to Hall’s story. Though not all of us have experienced the heartbreaking stigma associated with teen pregnancy in 1960s small town New Hampshire, we have all felt the disconcerting realization that what was once home simply isn’t anymore, signaling the time to move forward, even if the path ahead is entirely unclear. 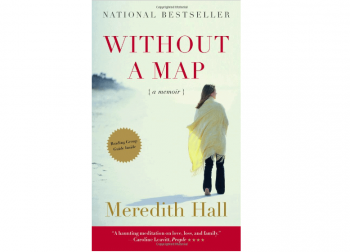 Without a Map is Meredith Hall’s first book. She currently lives in Maine and teaches writing at the University of New Hampshire. inciting incident, and for John Muir, this incident was as powerful as they come. Born in Scotland in 1838, John Muir emigrated to America with his family in 1849 to chase the dream of a better life. After enrolling in the University of Wisconsin-Madison at age 22, John soon discovered his love of plants and botany, which would come to shape the course of his later life. In 1867, at age 28, John was blinded in an accident at the wagon wheel factory where he worked as a supervisor, and spent the next six weeks in a darkened room, wondering if he would ever regain his sight. His sight eventually returned, and in a spirit of gratitude for this seemingly miraculous second chance, John vowed to be true to himself and follow his dreams. For John, this meant taking to a life of adventure, and dedicating his days to the study of plants. Muir set off on foot from Indiana, crossing Kentucky, Tennessee, North Carolina, Georgia, and Florida to the Gulf of Mexico, sketching, studying, and journaling plant life and other curiosities along the way. This thousand-mile walk is not only a scientific record of plant life, but a sociological look at the post-Civil War American South, as John encountered many former soldiers and freed slaves in his travels. 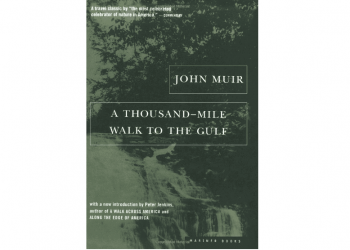 It is this trek that Muir recorded and was later published in 1916 as A Thousand-Mile Walk to the Gulf. After arriving in Florida, Muir’s life took yet another near-death turn when he contracted and almost died from a malarial illness. After recovering from this grave sickness, Muir—in his true cavalier fashion—impulsively boarded a ship to Havana, Cuba, and once there spent his days immersed in the study of shells and local flora. Later in life, “John of the Mountains,” as he came to be called, travelled to San Francisco and set out on a 200 mile trek to the Yosemite Valley where he walked the mountains in his unending spirit of adventure. He later became the co-founder of the Sierra Club, an environmental organization that survives to this day. John Muir’s activism resulted in government action to be taken to ensure preservation and conservation of America’s wilderness, and his petitioning of Congress in 1890 resulted in the passing of the National Park bill, which established Yosemite National Park. A Thousand-Mile Walk to the Gulf is a remarkable man’s experience taking in the natural wonders of his world with genuine curiosity and wonder, and would make perfect fireside reading both at home or at the campsite. It is a timeless and inspiring account of rebirth, determination, and fascination with our living world and the others we literally (and figuratively) encounter along our path. 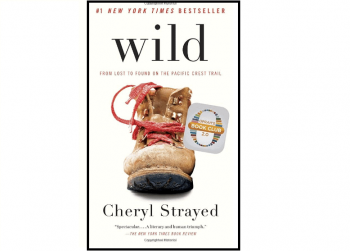 by Cheryl Strayed by way of the 2014 Reese Witherspoon film, but it’s the book that came first and captured the attention of readers everywhere. Born in rural Spangler, Pennsylvania in 1968, Strayed was raised in a home nestled within 40 acres of land that did not come equipped with electricity or running water for several years — and no indoor plumbing until Strayed left for college. Despite her somewhat frontier-style home life Strayed did well in school, and graduated a track star, cheerleader, and homecoming queen. After leaving the confines of Spangler for the University of St. Thomas in St Paul, Minnesota, she married her first husband just a month before her 20th birthday. By age 26, Strayed’s life had run somewhat off the rails. She was reeling from her beloved mother’s death, her marriage was imploding, and a series of reckless choices—including drug use—was threatening to completely destroy her once-promising future. Faced with a decision to continue on a path of self-destruction or make a drastic change, Strayed decided on a whim to take to the wilderness to mend her broken existence. Filled with determination but not an ounce of experience, she took to the Pacific Coast Trail (PCT) by herself, hiking more than a thousand miles from California to Washington State while struggling through the cringe-worthy first-timer follies of overpacking, ill-fitting boots, and plain naïveté. Wild chronicles the many victories and defeats of Strayed’s epic journey, as she learns to let herself be humbled and healed by the process. Those who have tackled long-distance hikes (and the PCT in particular) will recognize the familiar struggles Strayed must navigate, as well as the unique sense of community among the other trailblazers she meets along the way. Wild became a #1 New York Times bestseller, and spent 126 weeks on the New York Times bestseller list. It has been translated into over 30 languages, and was a featured selection in Oprah Winfrey’s popular book club. Three months before Wild had even hit the presses, actress Reese Witherspoon spotted its great cinematic potential and optioned it for her own personal production company, tapping screenwriter Nick Hornby to adapt the story for film. These days, Cheryl Strayed currently resides in Portland, Oregon with her husband, filmmaker Brian Lindstrom. She co-hosts the Dear Sugar advice podcast with Steve Almond, and travels around the world giving lectures and leading writing seminars. Her other works include Tiny Beautiful Things, Brave Enough, and Torch. Spanish novel from your high school required reading list, or—by way of its musical adaptation Man of La Mancha—from your high school theater days. 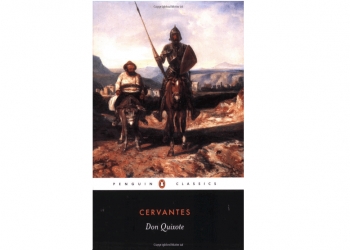 Don Quixote was originally published in two volumes in 1605 and 1615, respectively, by Miguel de Cervantes Saavedra. It is considered a foundational work of Western literature, and the most influential to come from the Spanish Golden Age, and from Spanish literature in general—hence its common use in the classroom. The plot of this classes centers around the hidalgo (a member of Spanish or Portuguese nobility) Alonso Quixano, whose obsession with reading romantic tales skews his reality so deeply that he decides to embark on a quest to revive chivalry and become a beacon of justice and right to the world. Giving himself the name Don Quixote de la Mancha, he enlists the help of Sancho Panza, a farmer-turned-squire, to accompany him on his noble endeavor. Together, Don Quixote and Sancho Panza go on many [mis]adventures, including the famous incidence of battling the windmills that Don Quixote believes to be gargantuan monsters. The story’s tragic-comic nature has moved readers for hundreds of years, with Don Quixote’s pure but misguided intentions evoking a timeless theme of disenchantment, with emphasis on the reliability of Don Quixote’s urge to escape and immerse himself in adventure. Born in 1547, Miguel de Cervantes Saavedra spent some of his younger years as a soldier in the Spanish Navy Marines, or Infantería de Marina. After many years of military duty that included three gunshot wounds and five years spent as a prisoner of war, Cervantes returned to Spain and worked as an accountant in the banking industry. During his career as a sometimes-purchasing agent and tax collector, he wrote the first part of Don Quixote, which brought him considerable notoriety, respect, and wealth. Cervantes published several other novels, plays, and works of poetry, and is considered the greatest Spanish language author in history. His tale of Don Quixote inspired the 1964 musical Man of La Mancha, with the book by Dale Wasserman, lyrics by Joe Darion, and music by Mitch Leigh. The musical was adapted into a film by the same name in 1972, starring Peter O’Toole as the title character. then you’ve probably heard of the historic network of trails that make up El Camino de Santiago (Route of St. James). Spreading over the Pyrenees from Pamplona to Santiago, this route has been traveled by pilgrims en route to the cathedral of Santiago de Compostela for over a thousand years. Historic and religious sites have sprung up along the trail, making the journey a truly spiritual experience for those willing to dedicate the time (typically about ten days) and legwork to complete this time-honored trek. Former sales executive Kurt Koontz of Boise, Idaho, was one such adventurous soul. Growing up enjoying the wilderness of his Idaho home, Koontz went to the University of Puget Sound to study business and, afterwards, pursued a high-powered career. After retiring from his position at a Fortune 500 company at age 36, Koontz dedicated his time to traveling the world and pushing his mental and physical limits through experiences beyond those of a typical Western tourist. In September 2012, he decided to reach beyond his European cycling adventures and set his mind to tackling the 500 miles of El Camino de Santiago, and the transformative odyssey that followed inspired him to write his first book, A Million Steps. While Koontz considered himself ready to handle such a lengthy trip on foot, he was not prepared for how the voyage would affect him mentally or emotionally. Working through his past of addiction, recovery, and relationships, the 490 miles Koontz travels ends up being so much more than a physical journey. His description of the scenery as well as the other travelers on the trail have won over thousands of readers, making this travelogue-turned-memoir a popular choice for those about to take on El Camino, or those who would like to live vicariously through someone who has. 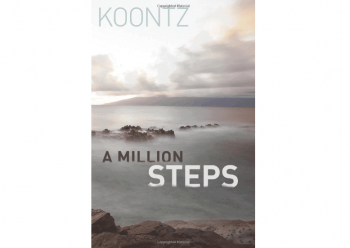 A Million Steps is Koontz’s first and only book to date, although he is very active as a public speaker. Koontz still calls Boise, Idaho home, and continues to write between traveling and speaking engagements. a written record of the oral histories of the Oneida people (the “walking people”) and their journeys that span three continents and, likely, the Bering Strait, in her book The Walking People. Underwood captures the historical and sociological impact of these people while maintaining the mystery and intimacy of their culture, enlightening readers to the Oneida’s traditions, origins, and folklore. The Oneida people (meaning “the people of the upright stone” or “the people of the standing stone”) are a Native American tribe that is one of the five founding nations of the Iroquois Confederacy. They originally inhabited the area that would become central New York state. Ancient legend states that the Oneida have shapeshifting powers, once changing into stones to avoid a pursuing enemy tribe—therefore earning their “people of the standing stone” designation. For her own part, Paula Underwood was not of Iroquois descent (her father was from Lincoln, Nebraska and her mother from Springfield, Missouri) although she claimed her paternal grandmother was Oneida. She identified very strongly with the spiritual path of the Iroquois, and wrote many books about the oral histories of Native American culture. Born in Los Angeles in 1932, Paula Underwood passed away in 2000. Although you might not be able to embrace the refreshing peace of the trail whenever you need a break from everyday life, books about the unique power of the wilderness to heal and humble is are always right at our fingertips, ready to provide a few moments or hours of escape no matter our location. The books mentioned above will give you a strong start on your literary hike, but don’t let that stop you from going off the beaten path and discovering your own favorite reads. Do you already have a favorite hiking book that gives you the high of the trail without leaving your home? Or are you new to the genre and looking for an even more robust reading list to start out with? Tell us all about it in the comments!